Gert...errr.I have a question,do you add in lady finger in to this mini portion?.I prefer a mini portion,your look fantasic wt fruit decoration! !.I still have a whole pack of lady finger unopen. hmm..yummy3, byknyer fruit on top tu gert! nway, serononyer shopping eh! byknyer barang beli..
still want to wish u la..happy thanksgiving 2 u...i selalu miss the train! hehehe..
Those fruits look succulent! I want one! 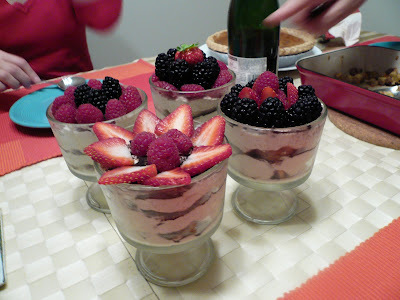 That is a beautiful decorated tiramisu. 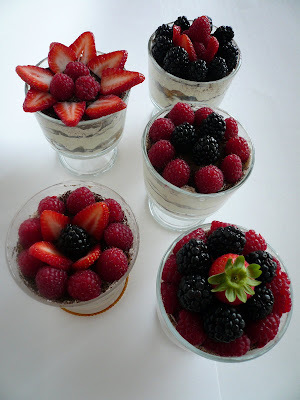 I like the one with slices strawberri.It look like a flower. Wow, a beautiful dessert. Enough for four of us too. Any left over?? 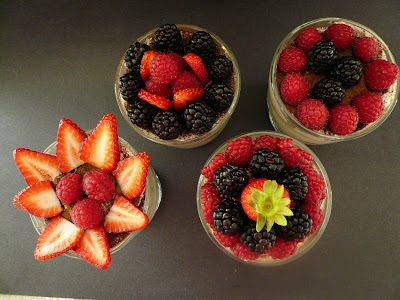 Cat, come over and I make some for you :) So bila nak datang PA? Pinky, come over and have one. Wow, your Tiramisu is beautiful. 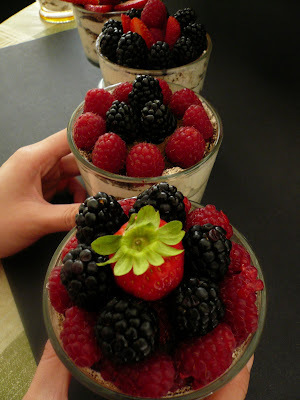 I love the fruits on top makes me drooling liao. 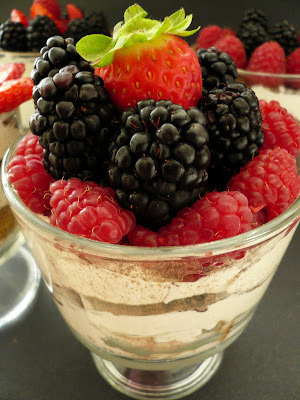 Wah what a lovely deco, how nice all the fruits on top of ur tiramisu..sayang nak makan..kna tgk je kot..Nice blog! Gert, that is so lovely... I wish I can put my hands of those honey berries....delicious! Oh may! I will be happy to visit you for this yummy tiramisu. Ummi, how is your anak. Dah baik from his chicken pox tak? Dwiana, come on over. You are from PA to, right? betul kata Kak Ram. cantiknya ur tiramisu!